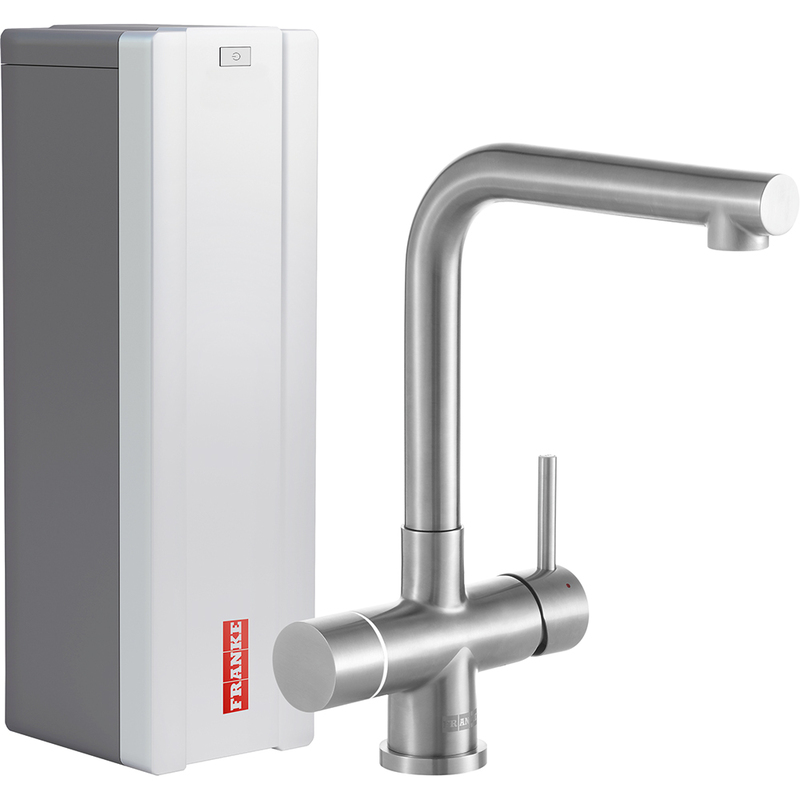 Combining modern design and modern technology, the Minerva delivers instant hot, cold and boiling water in a single tap, making instant boiling water available in new and existing kitchens. Safety is assured with a two-step safety handle, while fully insulated spout and handle ensures that they both stay cool to the touch. The Minerva system features a space-saving water tank that fits discreetly into your kitchen so that boiling water is always ready when you need it. Unlike a kettle, it only uses what is required, heating the water silently and delivering boiling water instantly. Discreet and suitable for almost any kitchen, the horizontal heating tank sits neatly behind a standard 150mm cabinet plinth, freeing up much-needed cupboard space. Those who have chosen Minerva in their kitchen have found it not only provides a stylish and functional addition to their home, but also a real talking point. 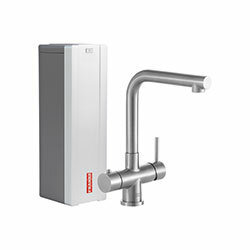 The minimum pressure required is 2 bar (29 psi) for hot & cold supply. The maximum pressure is 4 bar (58 psi).